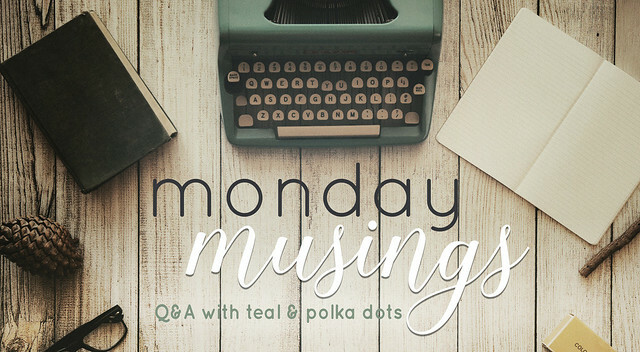 You guys, without me even really realizing it, I've gotten majorly behind on Monday Musings. I blame it on vacation, holiday weekends, Hurricane Irma and wanting to post something else on Monday... either way, today's a major catch up day. 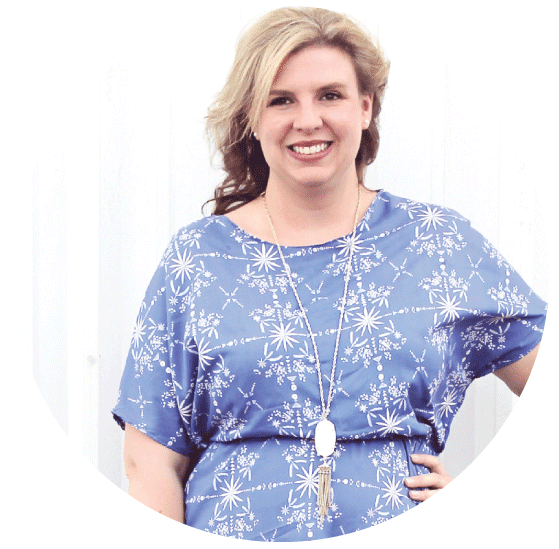 For those of you who are unfamiliar, Monday Musings is "get to know you" style Q&A. I invite you to join in the comments below so I can get to know you as well. Q1: What are three of your favorite books? A1: Ooo...this is seriously tough one, it's so hard to pick favorites! I'm going to go with my gut and pick the first three books that pop into my head: Circle of Friends by Mauve Binchy, Pride and Prejudice and Little Women. Mauve Binchy is one of my absolute all-time favorite authors, I love pretty much everything she's written. Circle of Friends was the first book I read by her, which started a literary love-affair that's lasted many years. I read Pride in Prejudice for the first time in high school, but really fell in love with Austen while studying abroad in college. Little Women was my favorite childhood book, I read it so many times the book jacket cover literally fell off. If you don't feel like reading the books, here's my favorite movie adaptions: Circle of Friends with Minnie Driver and Chris O'Donnell, BBC's Pride and Prejudice mini series and Little Women with Winona Ryder, Kiresten Dunst and Claire Danes. Q2: If you could meet a real-life celebrity who would it be? A2: Ben Folds. I'm seriously in awe of his talent - what would I give to be able to play the piano like him! And to have that kind of songwriting talent. Plus, he seems like he's pretty normal and down-to-earth in real-life. I'm still sad I missed him with the Atlanta Symphony three years ago, but I was about to pop with my daughter at the time I didn't want to risk traveling. Q3: What's been one of the biggest challenges in your pregnancy? A3: I've had a few health hiccups that I have been a bit of a challenge, like being diagnosed with gestational diabetes. Most recently, I've had a troublesome root canal become reinfected which has caused me an immense amount of pain, not to mention is hard to treat while pregnant. But, all that being said, overall I've been blessed with a pretty uncomplicated pregnancy. Q4: What's been one of the greatest things about your pregnancy? A4: I feel like so many wonderful things have happened during this pregnancy - purchasing our dream home, getting to experience the wonder of being pregnant again, being able to let the world's biggest food baby hangout and not have to worry about it...but seriously, overall it's been a wonderful experience. We weren't sure if we were going to have any more children after having our daughter, but I'm glad it worked out for us to have one more, and a boy should be extra fun! 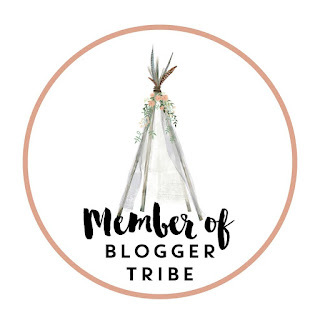 Q5: Are you going to continue blogging after the baby is born? A5: I absolutely want to keep blogging, but I do plan on taking a break to focus on the baby and family. I'm sure not how long the break will last, or what exactly it'll look like, but I do plan on coming back to this space. Whew, and that gets us all caught up. Hard to believe there's only a handful more Monday left this year. Do you have any questions you'd like me to answer? Let me know in the comments below, or email tealandpolkadots@gmail.com. Little Women is probably my favorite book ever. I still read it every few years. I've never had a root canal, but I can't imagine how painful - hope it all gets fixed soon. I still love Little Women. I might have to re-read it soon. :) And the tooth is doing much better, thank goodness for antibiotics!